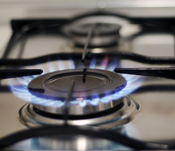 Gas boilers and cookers are used every day for hot baths, showers and cooking meals, also in winter gas fires and central heating are used to keep warm. Only use a Gas Safe registered engineers to fit, fix and service your gas appliance. Have your gas appliances serviced annually. Never work on a gas appliance yourself. Don’t let anyone who isn’t qualified and Gas Safe registered work on an appliance. Gas safe engineers carry as Gas Safe ID card. It shows you what work they are qualified to do. Every engineer has a unique licence number that you can use to check they are still on the register. Not all engineers are qualified to carry out all types of gas work. Only allow an engineer to work on your gas appliances after you have checked their qualifications. Look both sides of their Gas Safe ID card. Never ignore a safety device when it shuts off an appliance. Use the appliance for its intended purpose. Do not use a gas cooker to heat a room. Fit a carbon monoxide alarm and test weekly. If you suspect a gas leak or notice signs of carbon monoxide poisoning act quickly. Open all doors and windows to let in fresh air. Switch off your gas appliances and do not use. If possible shut off the gas supply at the mains. Call the National Gas Emergency number 0800 111 999. For LGP gas contact the number on your storage vessel or the meter. Contact a Gas Safe registered engineer to fix or replace your gas appliance.